Two days ago, we reported on the rumored existence of a new Galaxy S4 iteration with LTE-Advanced support headed to Korea. It seems that device has been all but confirmed today, thanks to a leaked user manual with device specifications found by Japanese blog rbmen. The device, known as model number SHV-E330, contains an MSM8974 CPU, which will be the first Qualcomm Snapdragon 800 SoC to debut in handsets later this year. Not only will that make this particular Galaxy S4 substantially quicker than its Snapdragon 600 sibling, the added support for LTE-Advanced will raise theoretical network performance figures substantially. Currently, the world's only LTE-Adv network is deployed by Yota on a few base stations in Moscow, Russia, though South Korean providers are likely well on their way to implementing the technology. With little concern for the large geographic and border-related complexities facing carriers in the EU and US, it is probable Seoul will be lit up in the speedy glow of LTE Advanced well before we see it in the west. Just how fast is LTE Advanced? That all really depends. Theoretical network speeds are up in the gigabits, though Yota's live network promises end-user speeds of only 300Mbps ("only." ha. ha.). 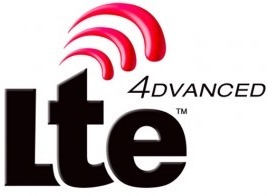 LTE-Advanced has far more advantage in that it has been designed from the ground up to work with "advanced topology networks" - that is to say, data networks composed not just of towers, but smaller picocells, femtocells, and various relay technologies. These smaller, more targetable pieces of network hardware are seen as the future of mobile networks, particularly in major cities where interference and tall buildings can cause major service disruptions, as well as mitigating the issues of high-traffic network burden (try using an iPhone in San Francisco at 5PM). It's unlikely this Galaxy S4 will see action outside of Samsung's home country, then, though that shouldn't exactly come as a surprise to anyone.